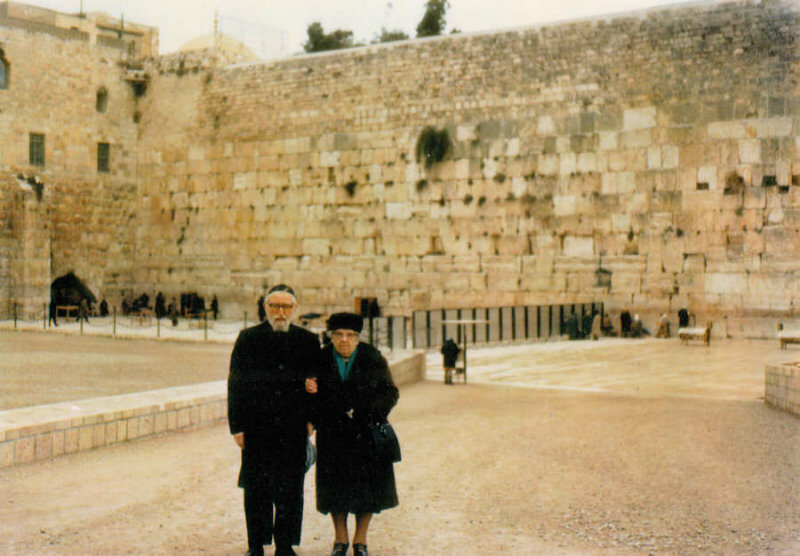 Rabbi and Mrs. Porath went to Israel in January 1969. He was there to officiate at the marriage of his granddaughter Chana. Chana, the daughter of Benjy and Esther Porath, had come to Israel for 1967-1968 on a student exchange program from CWRU to Hebrew University, She went to Hebron to help out and met Tzvika Idels and they decided to get married. Chana was the first grandchild to decide to live in Israel. Her parents would follow in August 1970 with her younger brother and sister. Brother Paul Porath came in September 1973. Since that time many others in the Porath family have made aliyah.